How many times in life have you had the chance to surround yourself with other innovative DIY innovators and makers? You and your family may have always been more on the creative side, but when it comes to being able to interact and engage with others and see what options and creativity are out there, you all may have felt a few limitations in the past. 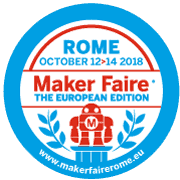 If that’s the case, Maker Faire Rome is exactly what you’ve been waiting for. For 3 days only (October 12-14), you and your family will be able to mingle at Europe’s greatest innovation event where hundreds of great ideas are just waiting to be discovered. If you’ve ever to find a place brimming with inspiration, Maker Faire Rome has that and so much more! The great part about this event is that it started recently, back in 2013 and has since become a worldwide phenomenon. Plus, any and all ages are welcome to participate and showcase their thoughts and ideas as well. 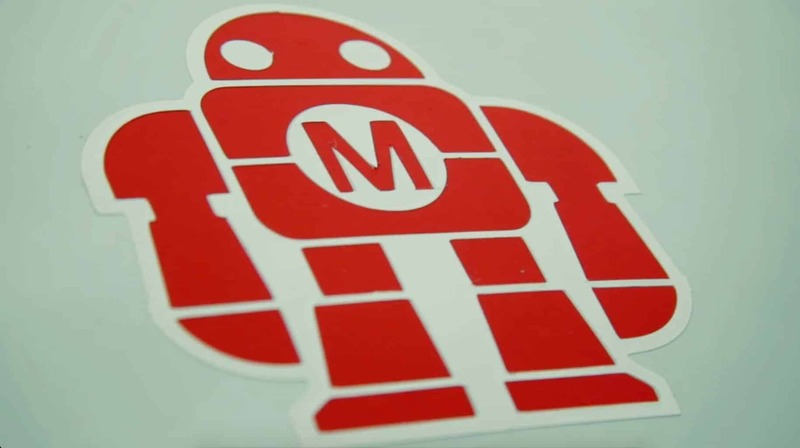 What can you expect to find at Maker Faire Rome? Besides amazing ideas and some pretty cool people, most of the exhibits are open to the public to come and test out. How awesome is it that you and your family can discover some of the newest ideas out there, and experience them together! That’s family bonding at it’s best. An amazing education area for children – STEM-focused and hands-on, your child will love being able to be their own innovator for the day! Themed ideas and projects that can’t be missed – From robots to educational games, you are going to see and have the opportunity to view it all. Plus…you can get some really cool Christmas shopping ideas from this event as well. Who wouldn’t love the latest and greatest innovation in their stocking this year? While you may not be able to attend this year as an innovator, you can absolutely attend as a spectator and curious guest. And honestly, there aren’t many conventions out there that are quite as great as this one. The truth? Booking your ticket in advance is necessary because this does and will sell out quickly. With crowds expecting to exceed what they did last year (remember…100,000! ), buying your tickets now is an absolute must! There are several ticket options: family ticket, 3-day pass, student ticket, group ticket. The Faire is, overall, very affordable also in terms of food & services. Hurry and join in on meeting and interacting with some of the greatest innovators and makers there are by purchasing your tickets here! I have to admit I’ve not heard of this event before, but it sounds like it would be such a fun event for people to attend. I love that it is open to all ages and they offer discounts for student groups! I do not know of this place so nice to read this post and get to know more about the place and does look so good. This sounds like such a great and inspirational event! I hadn’t heard of it before. I’ve not heard of this before but we’re big fans of STEM oun this household. Anything that’s hands on and teaches Luke (and sometimes me) about the world is well worth checking out in my books. Wow! This sounds like such a wonderful and inspiring event to take the children to. I love the idea that STEM activities are a focus too. Will hve to look into all the options. Thanks for sharing. Gosh this sounds amazing, what a brilliant reason to go back to Rome, as if I needed another, such an amazing city 😉 But seriously, what a great place to inspire creativity too! Oh my goodness that sounds utterly amazing! I want to go! Oh wow what an amazing event. The fact it’s held in Rome is appealing, but what a fantastic opportunity to inspire and create. I’d love to go! Sounds amazing for older children – my two will surely love this when older. What a great sounding event, I love that they have all the STEM activities for kids to enjoy, mine would love it. Never heard of it before but sounds good.